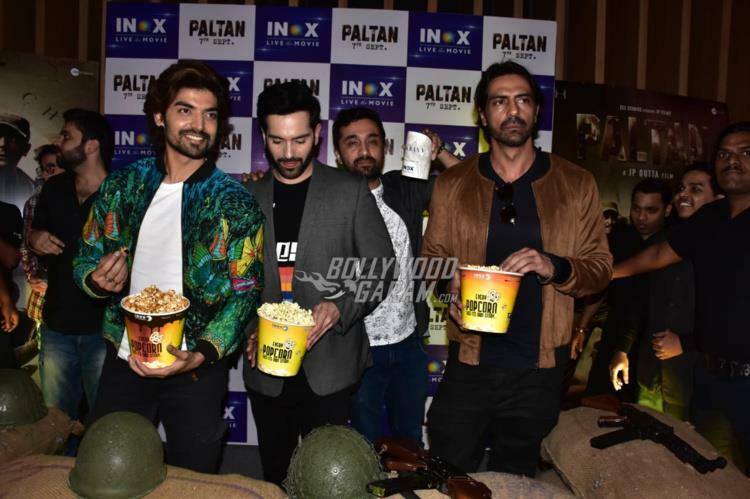 Once again the Paltan boys have gathered for promotions of their upcoming film. 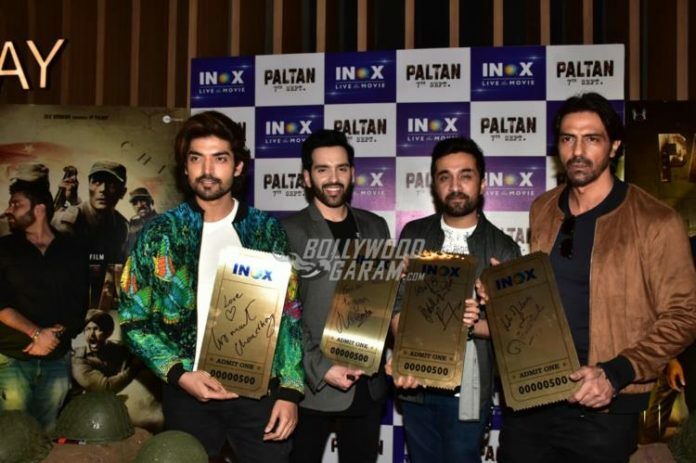 This time the actors landed at a popular theatre in Mumbai on September 6, 2018. 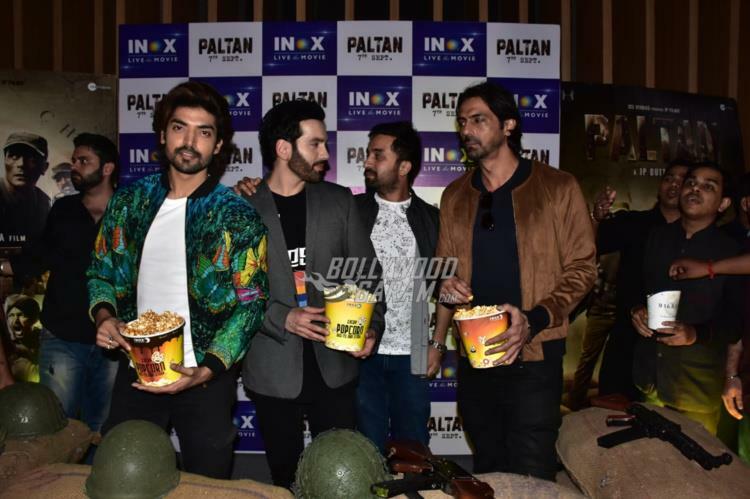 Gurmeet Chaudhary, Luv Sinha, Siddhant Kapoor and Arjun Rampal were seen bonding with each other at the promotional venue. A small war like atmosphere was set up at the promotional venue with gunny bags, guns and protective head gears. 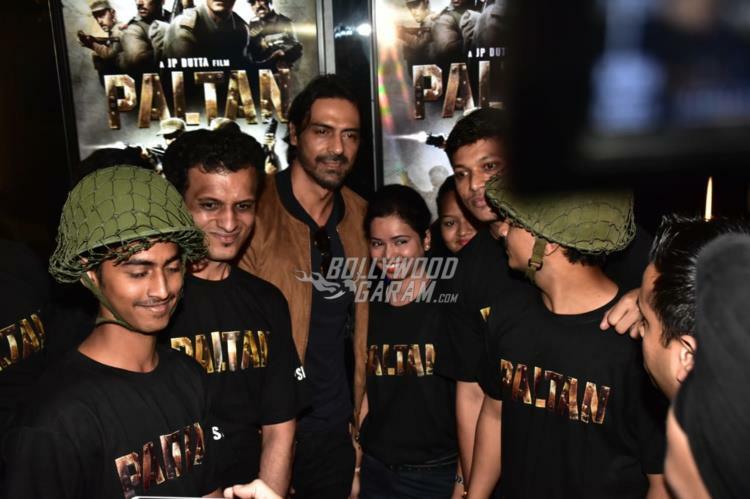 The actors were all smiles and poses for the cameras and had a great time interacting with the media and audience. 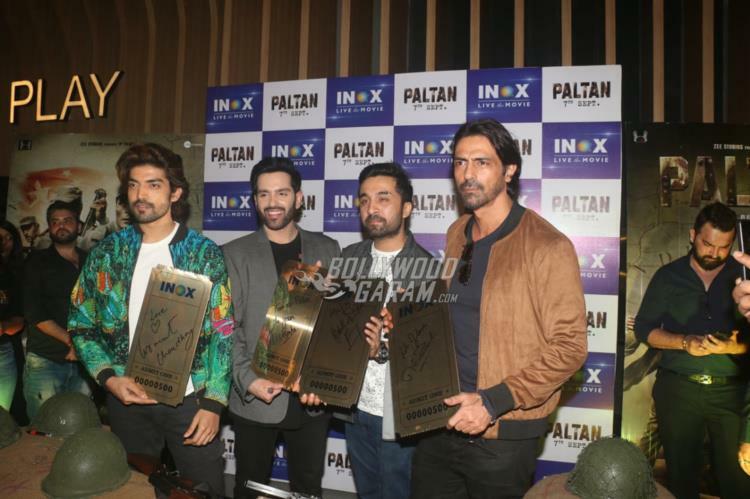 Paltan is another war film by the war film veteran JP Dutta, who has earlier made movies like Refugee, LOC Kargil and Border. The film is produced by JP Films an Zee Studios and also stars Esha Gupta, Jackie Shroff, Sonu Sood, Sonal Chauhan, Dipika Kakkar and others. Paltan is based on the 1967 Nathu La and Cho La clashes that happened at the Sikkim border after the 1962 Indo-Sino war. 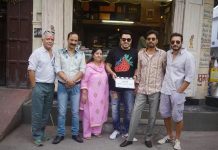 The film is all set to be released in theatres on September 7, 2018.